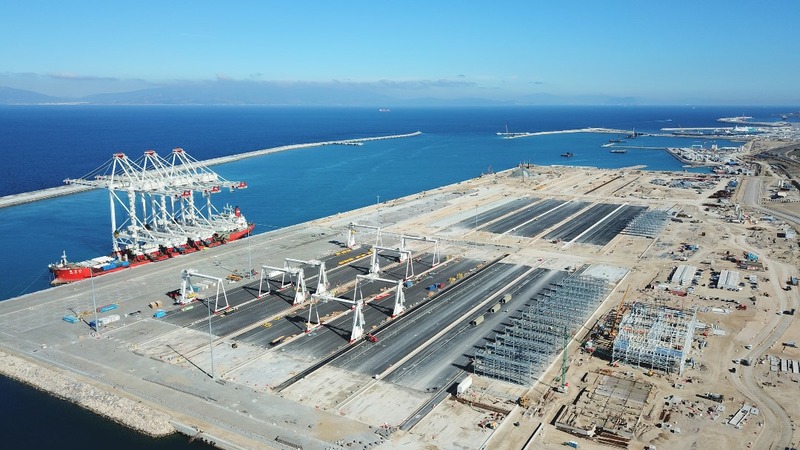 Opening in 2019, the APM terminals Medport of Tangier in Morocco will be equipped soon with three of the newest and largest ship-to-shore cranes in the world. The STS, weighing 2500 metric tons each, are 144 meters high when boomed up and have a 72 meters high outreach with tandem lift capacity. The three cranes have been designed to handle vessels and carrying 22000 containers for the Asia/Europe trade lane. The terminal under construction will be equipped with the latest technology, which « ensures greater cargo-handling efficiency and enabling more capacity » according to the Maersk’s Transport and Logistics part.